April 22nd is Earth Day, an annual holiday for teaching people to protect the environment. There are countless ways for people to get involved, from sharing literature about environmental safety to making changes in their everyday lives. But let’s be real, no one wants to sell all their possessions and go live in a yurt. Go green (without going crazy) with these sustainability tips from Ace of Gray. Stop getting junk mail. What’s this? A way to save the environment and your sanity? Unfortunately it’s hard to eliminate junk mail entirely (there’s just so much of it! ), but you can reduce the amount of ads junking up your mailbox. Contact the companies directly or sign up for a third party service that will remove your name from advertisers’ lists. Switch to reusable water bottles. Not only are sports bottles more attractive than the thin plastic water bottles you buy at the store, they’re drastically cheaper in the long run. Buy a water filtration system for your faucet, invest in a $20 filtered pitcher for the fridge, or go tap. You’ll never go back. 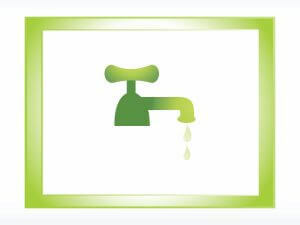 Conserve water. Fix leaks ASAP, insulate hot water pipes, and use gray water (mostly clean wastewater from washing machines and other appliances) to water plants. Reduce gas emissions. Bonus: you’ll pay less for gas. Easy ways to make transportation eco-friendly include carpooling, keeping tires fully inflated, and making a list of errands before you leave the house so you won’t need a second trip. Reduce energy bills. Did you know that you can schedule an energy audit to see where electricity is being wasted in your home? Other easy ways to conserve energy include using energy-efficient light bulbs, relying on natural lighting, turning off the lights and thermostat when you’re not home, and only washing full loads of laundry and dishes. Need more tips on going green? Visit Ace of Gray.